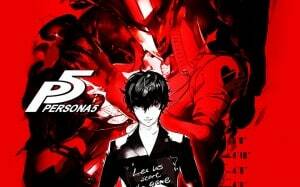 New Persona 5 Trailer Breakdown, 2016 Release Date, & Livestream Schedule | Nerd Much? Imagine a severe lack of sleep, a large cup of coffee, and the excited screams of fans in a Skype chat from all over the world, gathered to celebrate one thing, the possible unveiling of a new Persona 5 trailer. That was where I was yesterday morning, eagerly setting up my computer to stream from Nico Nico Douga, a famous Japanese streaming website. Earlier last week, Atlus announced something interesting, a 40-hour Persona livestream with all types of events at the Tokyo Game Show. Being a major Persona fan and waking up for February’s unveiling, it was a no brainer — I had to watch this. Persona 5 is the latest in Altus’s very popular role playing game series, that has had fans hyped from day one. The Persona series follow the lives of everyday students who awaken another part of themselves, also known as a persona, which is a manifestation of their inner thoughts and feelings. They use this power to defeat enemies known as shadows. This series deeply rooted in Jungian psychology and is very symbolic, combining mythology with expert storytelling. One unique feature about this series is the balance between social sim elements and turn based combat. While Persona 4 showcased a more upbeat positive vibe rooted in the friendships formed with others, P5 is a game that is radically different. In the first trailer, the new protagonist was shown, a high school student who seemed dissatisfied with everyday life. In the day, he was your average high school student. However, at night he became a masked thief, engaging in heists with two other classmates and a cat-like creature. Instead of being the good natured protagonist, he seemed to give off an anti-hero vibe, making it an interesting angle on the JRPG genre. What if the characters had an evil side to them? Persona 5 was guaranteed to be at the Tokyo Game Show, a popular gaming conference, but no one knew what to expect news wise. Atlus has kept rather quiet about the latest Persona installment, promising a release date this year. Two trailers for the game were released, the major reveal in Feburary and a secret video in June. There was little information since then, and fans were beginning to wonder if Persona 5 was even coming out this year. The Tokyo Game Show, the E3 of Japan, is one of the most expansive gaming conferences filled with many new announcements and trailers for upcoming games. It’s a must watch for fans of Japanese games , as many new reveals that were not shown throughout the year make their way to the center stage. Major developers showcase their latest efforts through new PVs (promotional videos) and live events, and Atlus was a much anticipated guest this year, especially after announcing the Persona special stage and livestream event. “0:08 – Escape! Most likely running from something big and scary. 0:15 – A pyramid of sorts, location is implied to be in Egypt however later on in the trailer this might not quite be case. 0:19 – All the characters showcased in the credits of the first PV are shown here, confirming that they will work as a team, or at least collaborate at some point. 0:38 – Unexplained train accidents huh? Connects back to the first PV, with the train flying off the rails and with the seemingly possessed train conductor. 0:36 – Here we see the protag walking around, with a map to the right side. Can players finally be able to walk through the cities without the use of an over world map? 0:57 – Protag and Ryuji find a place resembling Yukiko’s castle in P4. We’re not in Japan anymore. 0:59 – “The Palace”, confirmed to be a warped version of the school, much like Tartarus in P3. Of note Morgana seems to know a lot of what is going on. Not your normal house cat. 1:06 – Ouch Protag got caught, though who took him hostage is unknown. Signs of a beating, perhaps from the interrogation or just trying to apprehend them. Also the protag is being accused of stealing people’s hearts, ouch man. 1:11 – Morgana stop telling people to leave ransom notes. This “stealing peoples’ hearts” condition might be somewhat similar to that of the apathy syndrome in P3, just a theory. Also this the first time Ryuji notices that Morgana ain’t yo normal cat. 1:15 – Persona reveals. Morgana has El Zorro. 1:25 – Still don’t know which item he means will allow him to travel. Also, its being implied that the Palace and his school exist at the same time, but might only be accessed by rifts or maybe the paintings seen later on in the trailer. 1:26 – more platforming aspects shown off, still a four party team confirmed, sorry PQ fans. 1:37 – Jumping into paintings! Might be entrances to dungeons. The sandy background for this one might explain how the characters are in a pyramid in the beginning of the trailer. 1:43 – If a mask is the mask that protects your heart, and by summoning your persona you must take off your mask, does that leave the Persona’s users “heart” vulnerable?. 1:44 – Once again confirmed that Persona users summon their personas by ripping off their masks. 1:49 – Painter boy from the second PV confirmed persona user. The outfit reveals that he is the fox guy from the first PV trailer jumping around in the credits. 2:12 – Swimming in cash money and the protag looks determined. Perhaps prep for a boss battle? 2:18 – Your party can turn into mice!? An interesting power or a dungeon mechanic? 2:24 – Hand to hand combat training. Perhaps it might feature human v human combat! 2:28 – A persona has turned a mask, could this be a new method of acquiring personas?! 2:43 – More implications that the protagonists might have to fight/might be fighting to change their scripted fates. More prison allusions. 2:49 – Queue the sad times montage. Signs of a darker story!? 2:57 – Some kind of threat to regular citizens, as seen by A DEAD BODY. Could this be the same conductor seen that flew off the rails in the first PV? 3:05 – Martial law or some kind of protest going on? Could they be trying to catch the protag? The signs state that someone or something must pay for their sins. 3:24 – The protagonist is cocky till the end. I love him so much. Fans may have noticed by now that there is only one unfortunate thing about this trailer, Persona 5 has been delayed until 2016. Summer 2016. For fans who have been waiting for a year and a half or even longer, this is very unfortunate and depressing news. Many still assumed that Persona 5 would release because it was still listed as 2015. Fans soon turned their sadness into anger, and started heading to social media outlets to express their disgust. However, there is a good reason the game won’t come until next year, a very good reason. According to Siliconera, the P5 director Katsura Hashino has the game together plot-wise with everything in place. However, he expressed his desire to make the game longer with more features for gamers to experience. Persona games are usually long, but by delaying the release date, there is a potential for the game to be more expansive than any of the other titles. Waiting may simply be the best move, because this means P5 will go all out, and quite possibly take the title as the best game of all time. Although it seems like a negative thing, the release date being pushed to Japan and the Americas may actually be a better decision. All we can do is wait and see. The Tokyo Game Show isn’t over yet, and neither is the Persona stream. Tonight/tomorrow at various times, the Persona Main Stage event will commence, which will be an hour long special event featuring the musical talent from the series and…a surprise. This is a very intriguing thought, especially since such an awesome trailer was released before the main event. What will happen next? Will we see new party members? Will there be another game? Will the fans be so hyped that we lose our sanity? Only time can tell. Expect an update after the main event, and for now, we can only hope. For now, keep rewetting the trailer and check out the official P5 website for new character bios, which are translated here. If you wish to watch the main stage, the stream is located here, on Nico Nico Douga.